Learn how to cook one of the most surprising and tasty paella rice dishes. We will use squid ink, which not only gives the rice its characteristic black color, but an amazing flavour too. 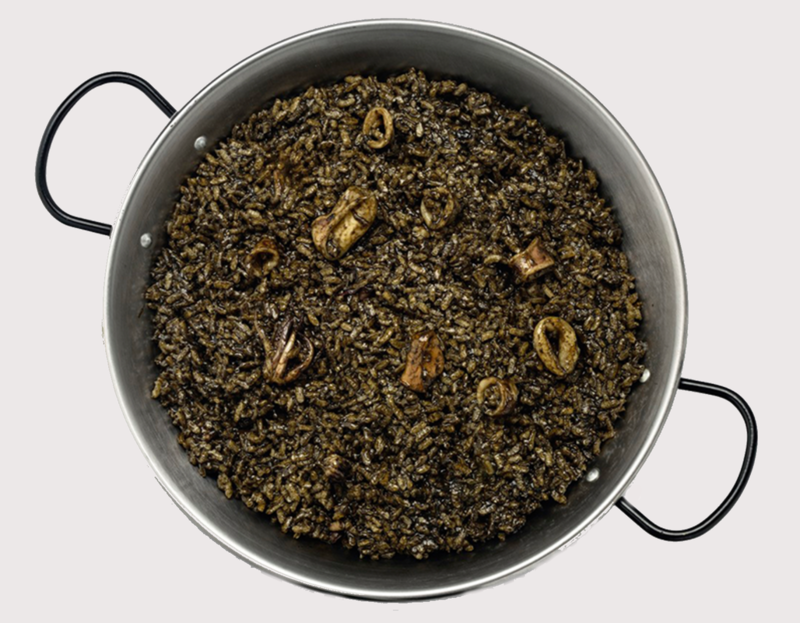 You will also learn how to prepare a delicious Allioli sauce, a perfect side dish for the black paella rice. From 6:45pm watch our chef demo two dishes then recreate each dish in groups of three at your workstation. Dinner 9pm– At our long ‘en famille’ dining table with a glass or two of beer you will be presented with a London Paella School certificate.